This Saturday is the start of our Wet Season program and we also kick off our annual Aquathlon Series at our event at the Waterfront. Don't forget that due to the event being on Saturday afternoon, we also have an earlier cut off for entries - 8pm Friday. Jump in now and enter so you don't miss that deadline. Prizes: If you are our 45th or 55th entry received, you will win a club t shirt - enter now! 1. 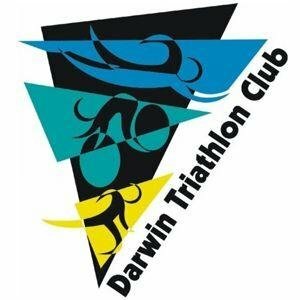 Club Tri Gear update - due to a hold up with sewing, our custom tri gear is now not expected to be in Darwin until early next week. This is disappointing for those who are waiting delivery and we do thank you for your patience. 2. Club cotton t shirts have arrived including junior sizes. 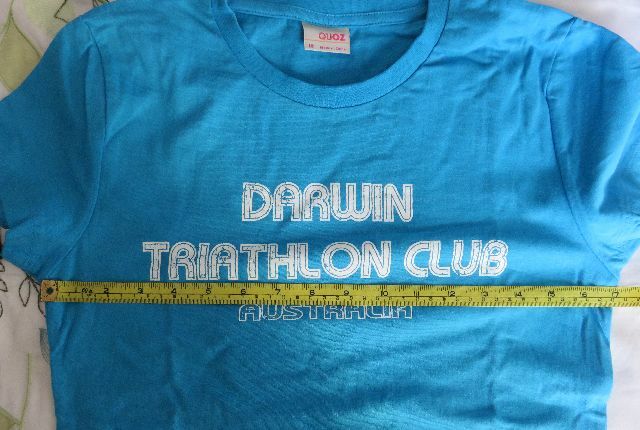 If you would like to pre-order t shirt/s and pick up & pay at our event on Saturday, please email darwintriclub@gmail.com with your size/s and I'll let you know the colour choices available. Half chest relates to the width of the t-shirt not the body. Lay a t shirt flat on a flat surface and measure across the front a few centimetres below where the sleeve joins. First in, best dressed, with these! Only pre orders received by 8pm Friday will be available at the Waterfront Aquathlon.